We are strategic advisors, not investment bankers. We’re by your side for the long-term, not just to close a deal. Invictus customizes the M&A process for your bank. We find the right target and help create the deal. Evaluate all banks within management-defined markets, measuring their value proposition for your bank. Quantify the relative impact on your bank’s shareholder value of acquiring each target versus organic growth. Analyze each transaction’s value components – loans, deposits, securities, and more – rather than using extrapolated financial statements and generalized rules-of-thumb like multiple-of-book and payback periods. Utilize the Invictus industry-leading capital adequacy models to ensure capital adequacy and regulatory communications. Exploit inconsistencies in present market pricing techniques to your bank’s advantage. Dramatically reduce senior management time and resource commitment with accurate, realistic loan-level pro forma modeling. Use the results to customize the approach to the targets that make strategic sense and help you close the deal. Invictus created and closed seven non-auction deals in 2017 and 2018. 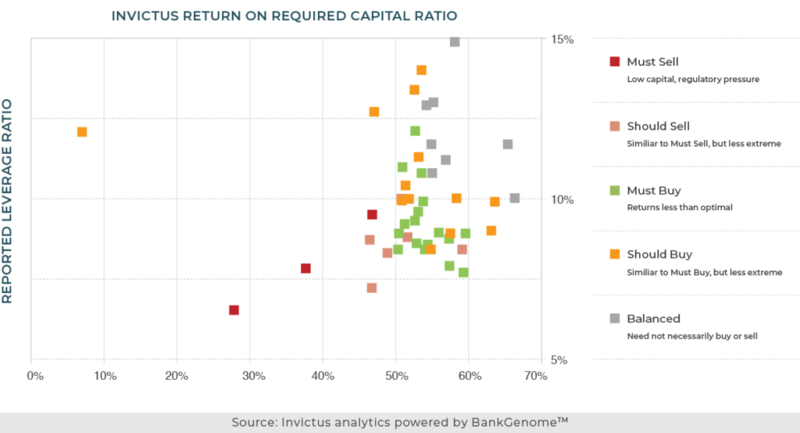 Banks within 100 miles of client identified as likely M&A targets based on level of available capital and region. 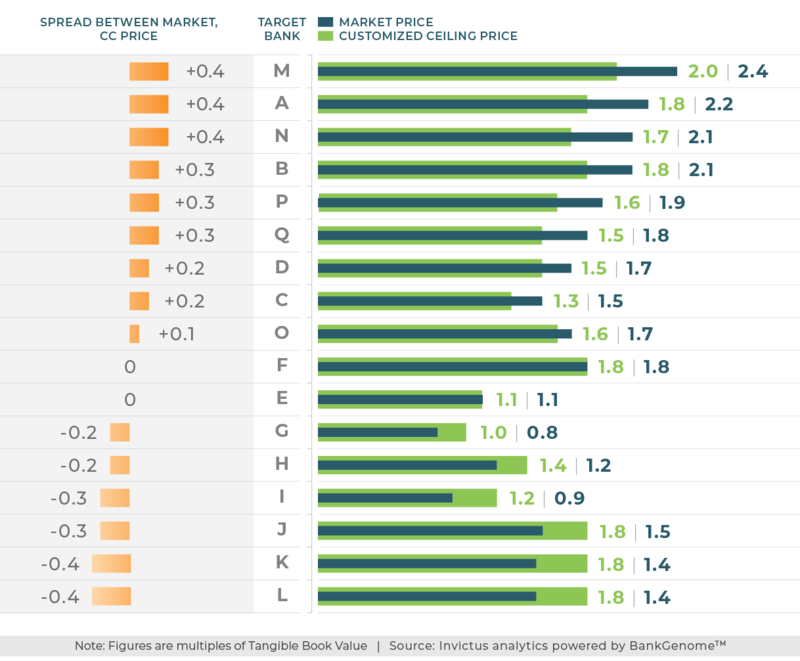 Every bank for sale has a different value proposition for each individual buyer. Invictus calculates the ceiling price a bank should pay for every target, giving banks a competitive advantage and allowing them to exploit differences between that price and the going market rate. Read more about the Invictus approach in this presentation . We do M&A differently because we have proprietary analytics. We reveal hidden value and risk within acquisition targets. If a deal doesn’t make sense for your bank, we tell you when to walk away. We sort every bank in the country to define the M&A landscape. Our M&A team includes strategists, analysts, investigators and former bank CEOs. The team is led by Invictus Chairman Kamal Mustafa, former head of global M&A at Citibank, Invictus president Adam Mustafa, and M&A Director Andrew O’Keefe. Everything we do is backed by an exclusive database and differentiated analytics, powered by BankGenome™. Our goal is to maximize shareholder value. We consider the impact of an M&A transaction on every aspect of your bank’s strategic plans.